This year's Subsea Upcoming Company is pioneering the area of “all electric” controls and actuator technology for BOP operations. Following the Macondo accident in the Gulf of Mexico, Electrical Subsea & Drilling (ESD) has been working on a BOP-concept that they believe will be a game-changer for drilling safety and efficiency. The award "Subsea Upcoming Company of the Year" consists of 80,000 NOK for development projects in the company, an artwork and a diploma. The winner can use the title "Subsea Upcoming Company of the Year" in promoting the company. Candidates must have participated in the Subsea Entrepreneur, Subsea First Step or Subsea Next Step programme – or an equivalent development programme – to qualify for the award. The award «Subsea Upcoming Company of the Year» is granted every year to a young company in the subsea industry. This year the award was granted to ESD based in Sotra just outside of Bergen, for their all-electric controls and actuator technology for BOP operations. 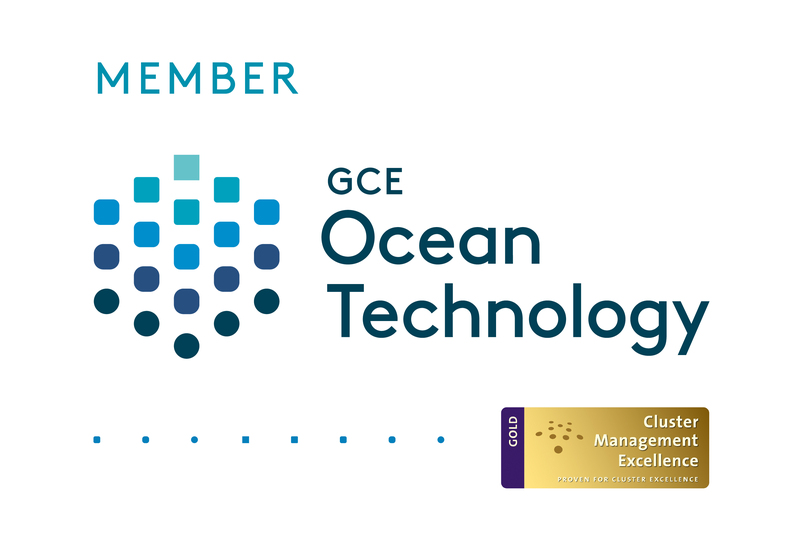 The award is granted by GCE Subsea, Sparebanken Vest, CONNECT Vest and the Underwater Technology Foundation, and is presented at the Underwater Technology Conference in Bergen in June. – There is currently a great push for all-electric solutions in the subsea industry, and ESD is a good example of a company leading the way in this respect. I am very impressed with the stamina that John Dale is demonstrating in the pursuit of the company’s goals, says Owe Hagesæther, CEO at GCE Subsea and head of the jury. In OG21’s strategy document – Norway’s Oil & Gas Technology Strategy for the 21st Century, all-electric subsea wells are listed as one of the prioritised technology needs. The subsea industry has been moving towards all electric controls for subsea production systems for quite some time, with ultra-long tiebacks as the main driver. The goal here is to avoid long and expensive hydraulic production control umbilicals and improve subsea control system reliability. All electric controls for well access systems however, are relatively new to the industry and subsea drilling, well completion and work-over operations can benefit even more from this technology shift. This is related to high day rates of vessels, operation cost, efficiency, heavy equipment, ultra-deep water, new safety requirements, environmental issues, etc. Jury member and Deputy General Manager at Sparebanken Vest, Trond Lægreid, is also excited about this year's winner. – ESD have demonstrated that they have come a long way towards making drilling operations safer and more cost-effective. Their value proposition and business approach is very promising. Sparebanken Vest has a long tradition of supporting regional businesses. Lægreid says that the bank aims to contribute to the development of this type of high-tech business in Western Norway. – Subsea is a very important industry in our region, and it is a pleasure for us to cooperate with GCE Subsea in this respect, Lægreid ends. CEO of ESD, John Dale was handed the award at UTC 2017. – ESD is very honored to receive the award and the recognition this represents from the subsea cluster. Since the 2010 Macondo disaster in the Gulf of Mexico, ESD has been working on a new all-electric BOP concept that will make drilling safer and much more cost-effective. The core components of ESD’s technology are electro-mechanical actuators, integrated with well barrier utilities, and a new control system including Condition Based Monitoring (CBM). – After Macondo, regulatory authorities will be phasing in new requirements for the drilling industry, some of which will be difficult to satisfy with current BOP technology, Dale says. – A change from electro-hydraulic to all electric BOP control system technology, will provide much better condition based monitoring and maintenance data resulting in quick turn-around between operations and exact position monitoring of well barrier elements, Dale continues. According to Dale, the benefits are many; – High actuator force output, monitoring and control of applied force, no discharge of hydraulic fluid to the environment, improved redundancy, facilities for mechanical override and increased reliability through system simplification with the elimination of critical error sources. Reduced weight through removal of hydraulic equipment, real time monitoring of available back-up power using batteries instead of hydraulic accumulators are other important benefits. – When it comes to ultra-deep high pressure and high temperature drilling, current BOP technology is stretched to the limit. The increased BOP stack weight affects drilling rigs, handling equipment and subsea wellhead integrity, Dale continues. – Our all-electric BOP will make it possible for existing drilling vessels to operate in much deeper waters, without major modifications. The founders of ESD took part in the lean business acceleration programme Subsea First Step in 2012. – During this programme we managed to shift from a technical and academic focus to a lean start-up company basing our development on customer interaction and feedback. The programme stimulated us to become more customer and market focused, says Dale.